You must be a member of the London Cuisine & Travel Dinner Group to attend this activity. Would you like to join this group? Let's eat this time in an authentic Chinese famous Hot Pots restaurant. => In order not to have misunderstandings with the bill and a quick service this event is with fixed price with the hot pot mode 20 £. per person with drinks not included. 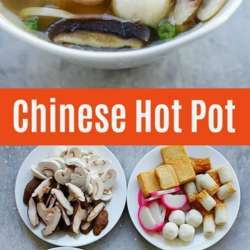 Chinese hotpot (火锅 huǒguō /hwor-gwor/ 'fire-pot'), also known as Chinese fondue, is one of the most popular meals in China. It consists of a simmering metal pot with broth at the center of a table, and all raw ingredients placed beside the metal pot, so people can add and cook whatever they like in the broth. ===>Please be at the restaurant between 7.00 pm and 7.30 pm, at 7.35 pm we start to order our Chinese Hot Pots and drinks to order.